Factory Stocks take the spotlight this Friday, June 22, for racing on the river’s edge at Lakeside Speedway during the $500-to-win Karl Tinsley Memorial. For the event, area Factory Stock-type cars and drivers, which typically include Pony Stock and Pure Stock classes, are invited to participate by bringing their track rules for tech purposes. This weekend’s action also includes USRA Modifieds, USRA Stock Cars, USRA B-Mods, Grand Nationals and E-Mods in weekly championship points racing. The payout for the Factory Stock Karl Tinsley Memorial is: 1st $500, 2nd $300, 3rd $275, 4th $250, 5th $225, 6th $200, 7th $175, 8th $150, 9th $130, 10th $120, 11th $110, 12th $100, 13th to 24th) $75. Tow money is $50. All total, the special purse is $3,435. Another exciting event planned for Friday is the annual Kid’s Dash-4-Cash. This event allows kids ages 12 and under to grab their share of $1,200 in coins tossed onto the race track during the intermission-time break! T-shirts and other giveaways are also up for grabs for the kids. A look at the championship standings shows Shawn Burns with a nine-point advantage over defending E-Mod champion Billy Spilman. Marshall Jewett continues to hold firm atop the Factory Stocks ahead of Wayne Brooke. Due to the special event for the Factory Stocks, track points will not be awarded this Friday for the class. Kacey Shields leads the way in Grand Nationals ahead of Don Marrs by just seven markers. Tim Powell sits atop the USRA B-Mod standings with a 39-point lead over Brad Smith while Kevin Anderson paces the field of USRA Stock Cars over David Oxford. In the USRA Modifieds, Nic Bidinger leads the way over Mark Schafman by five points. Due to the summer heat Lakeside Speedway will continue with the 30-minute later start times until Friday, Sept. 7. This Friday, the pit gate opens at 5 p.m., spectator gates open at 5:30, the drivers meeting commences at 7:15, hot laps start at 7:30, and racing gets underway at 8 p.m.
General admission spectator tickets are $12, seniors (65+) and military are $10, kids (7-12) are $6 and children 6 and under are free. Suite seating is $20 for adults and $10 for kids (2-12). Pit passes are $30 while kids (6 & under) are $10. Find the track online at www.lakesidespeedway.net for schedule info, car rules, regulations and news. Contact the track at (913) 299-9206. Physical location is 5615 Wolcott Dr., Kansas City, KS 66109, one mile west of I-435 (exit 18) on SR 5 (northwest of Kansas City. Like and follow on Facebook at www.facebook.com/lakesidespeedway.kansascity. You may also email the track at lakesidespeedwaykc@gmail.com. 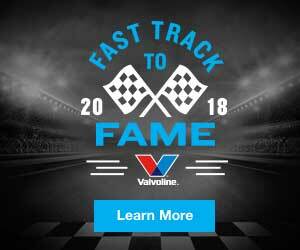 The 2018 sponsor list includes Valvoline Premium Branded Industrial Lubricants and Automotive Chemicals, Baker's Recovery & Tow, Budweiser, Casey’s General Stores, Central Auto Racing Boosters Hall of Fame & Museum, Central Auto Racing Boosters (CARB), Christy's Tasty Queen, Courtyard Kansas City Airport, Crystal Trenching, Health & Wellmobile, Johnson County Key Service, Joslin Jewelry, Kaw Valley Companies, LNF Fencing, Kling Auto & Diesel Repair, Metro Pawn, Mission Painting & Home Improvements, National Sprint Car Hall of Fame & Museum, RockAuto.com, Seeburg Mufflers, Sutera’s Shawnee, Tompkins Industries, Toners Jewelers, Ussery Auto Body, Design Source Flooring & Tile, Kenny’s Tile, Justin Lawson Media and Victory Trophies & Plaques.